Manifested as brilliant observational forms such as flares, filament eruptions and coronal mass ejections (CMEs), solar eruptions, as major drivers of space weather, have a dark side. From time to time, billions of tonnes of ionized gas, or plasma are expulsed from the solar atmosphere at millions of kilometers an hour, destroying satellites, disrupting power grid and mobile phone networks on Earth. Because of their possible annihilating consequences on Earth, scientists from all over the world are striving to unravel the mystery of solar eruptions. Originated from active regions on Sun’s surface, known as sunspots, they are playing a key role in space weather forecast. Recently, space physicists took one step forward towards a better understanding of CMEs and a possible answer to the crucial question of how the solar eruptions are triggered on the Sun. Scientists from National Space Science Center (NSSC) in Beijing and University of Alabama (UAH) in Huntsville successfully performed a data-driven magnetohydrodynamic (MHD) simulation of a realistic CME initiation process. It is the first time such endeavor has ever been made. Though it is a common belief among space physicists that solar eruptions are caused by the disruption of magnetic field in Sun’s corona, the physical mechanism of CME initiation remains to be a mystery, as the coronal magnetic field is difficult to measure. Numerical simulations of the initiation process of CMEs have been performed by research groups from all over the world, yet the problem remains because current simulations are mostly carried out with idealized magnetic field models, which are difficult to recover the complex configurations of the realistic coronal field and cannot simulate the real solar eruption. Dr. JIANG Chaowei and Prof. FENG Xueshang from State Key Laboratory of Space Weather, Solar-Interplanetary-GeoMAgnetic Weather Group (SIGMA Weather Group), along with UAH colleagues, developed a novel way to simulate the realistic eruptions by combining a field extrapolation method and a time-dependent numerical MHD model, which successfully reproduced a major CME eruption of AR 11283 on 2011 September 6 (Figure 1). Using a nonlinear force-free field extrapolation code, CESE-MHD-NLFFF, they reconstructed the 3D coronal magnetic field immediately prior to its eruption (Figure 2). Study of this pre-eruption field reveals an interesting S-shaped magnetic flux rope, called Sigmoid, which is observed as a high-temperature, S-shaped coronal loop by the SDO/AIA. By topology analysis, they also showed that the overlying field of the Sigmoid contains a magnetic null point, at which the coronal field strength is zero and magnetic reconnection is prone to occur. The above evidences suggest that this eruption is triggered by magnetic reconnection at the null, which cuts overlying tethers of the sigmoidal flux rope and results in a loss-of-equilibrium of the system. The pre-eruption field is then input as initial condition into the MHD model, which reproduced the entire eruption process. As can be seen from the Figure 1 animation, the resemblance between the MHD simulation and SDO/AIA observations is remarkable. The research entitled Magnetohydrodynamic Simulation of a Sigmoid Eruption of Active Region 11283 was published on The Astrophysical Journal Letters (ApJL). “Such a fully integrated work is a major technical achievement in solar physics, so I foresee that this work has the potential to be very well cited in the future.” says one of the ApJL reviewers. “With the success of this simulation, more endeavors of the same kind, i.e., numerical modeling the eruption events in a quantitative way and directly comparable with observations, are inspired to resolve the long-standing question of how solar eruptions are triggered and driven.” says JIANG Chaowei, lead author of the article from NSSC in Beijing, Chinese Academy of Sciences. Figure 1: SDO/AIA observations (left) and MHD simulation (right) of the CME initiation on 2011 September 6. 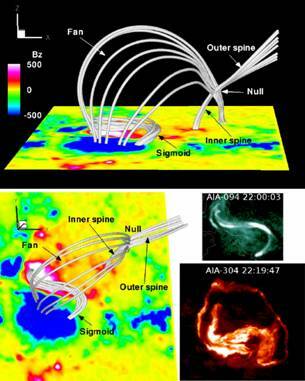 Figure 2: Topology of the coronal magnetic field prior to the eruption.